Second Line Parade feat. Brass Bands, Pedicabs, guest musicians, dancers, and so much more. Come and celebrate the rich cultural tradition of New Orleans as The Town celebrates its annual Mardi Gras celebration and culminating party and concert at The New Parish. With authentic live painting and New Orleans cuisine in the courtyard. New Orleans’ own Professor Shorthair teams up with one of the Bay Area’s finest DJs and turntablists, DJ Platurn. First up, The Enticers “Thief” (made notable by Mos Def’s “Napoleon Dynamite”) gets a heavy dose of drum breaks and tight scratches from the Professor to leave your head nodding and your toes tapping. On the flip, DJ Platurn’s re-work of Warren Lee’s “Underdog Backstreet” is the perfect party starter! Just the right amount of added samples and breaks to this NOLA classic - including an 8-bar intro & outro for all you DJs. Doubles are a must! This sure shot 7” is limited to 500 copies and comes on colored vinyl + heavy duty sleeve & custom collaborative sticker. The San Francisco Bay Area-based MJ’s Brass Boppers are a singing and swinging brass-line ready to bring the energy to any party at a drop of a dime. As the Bay Area’s only New Orleans style brass band founded and operated by musicians born and raised in NOLA, they pride themselves on fusing traditional NOLA standards, funk, jazz, modern pop & more with a second line twist! Being in existence since 2008, the musicians in MJ’s Brass Boppers are a tight group that share a passion for the music, and are constantly rehearsing to refine and present their art. They have graced the stages of various festivals, historic concert venues, community events, clubs, street corners, etc. They've opened for the likes of George Clinton & Parliament, The O'Jays, Trombone Shorty & Orleans Ave, Funky Meters, The Monophonics, George Porter Jr., Kermit Ruffins, Katdelic, & more. Within seconds of hearing the Boppers you can tell that this is not a group that just plays a few New Orleans tunes, but rather a band that lives the music, with the second-line beat pulsing through their veins. 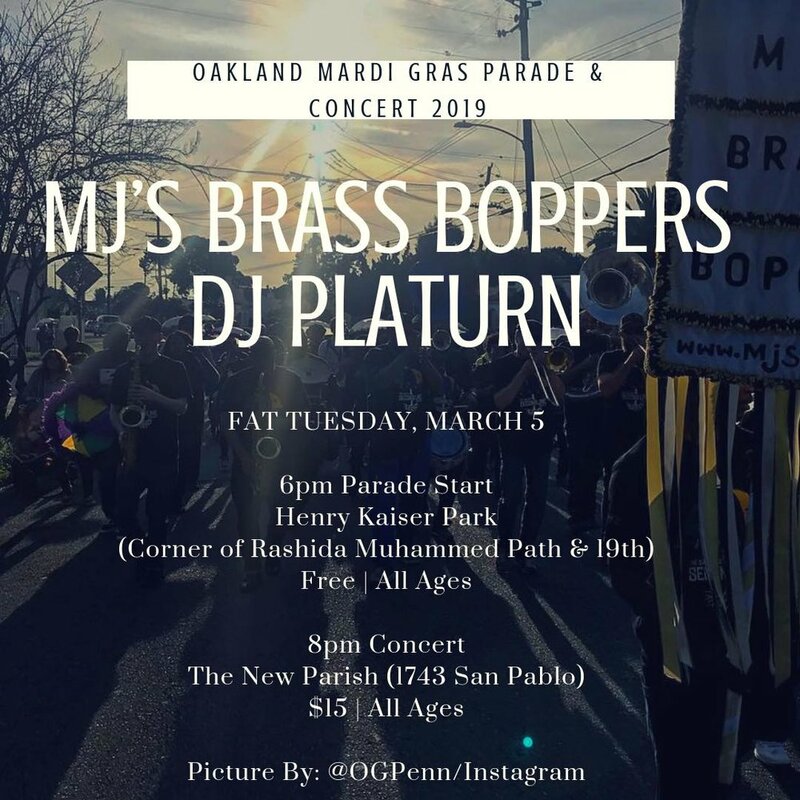 With New Orleans style and California sophistication, MJ’s Brass Boppers' repertoire is versatile and vast enough to perform at any event imaginable, giving everyone a huge smile and lifted spirit! 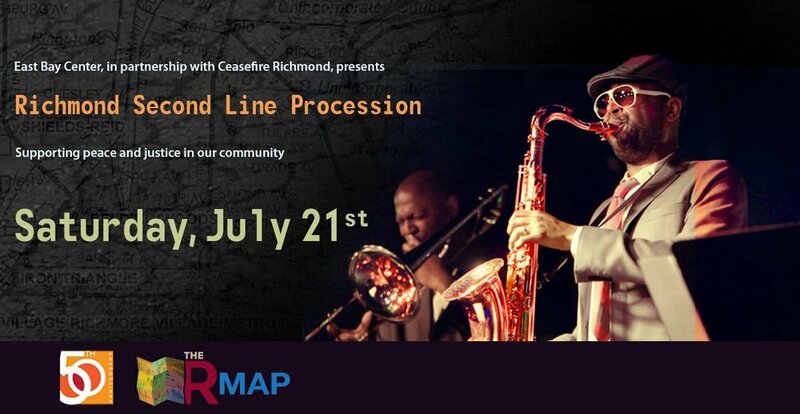 Join the movement on Saturday, July 21st as Ceasefire Richmond takes to the streets in a New Orleans-style Second Line Procession led by the East Bay Center for the Performing Arts Jazz Band! The term “Second Line” originally referred to a joyous parade of community members who would dance, sing, and play along with jazz bands leading funeral processions away from cemeteries after a service. 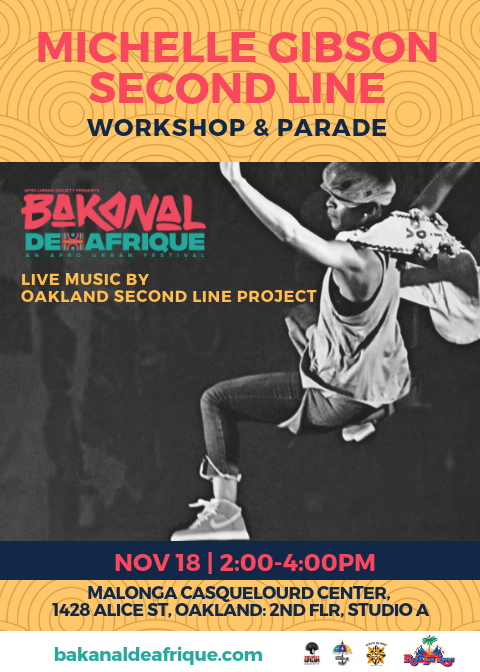 With original music composed by East Bay Center alum and Jazz Faculty Chair Howard Wiley, East Bay Center and Richmond Ceasefire are calling all community members to join Richmond’s own Second Line Procession to honor the memory of those lives lost to gun violence in our city by singing, dancing, and "raising a joyful noise" in hope and affirmation of a brighter future. The procession will begin at New Hope Missionary Baptist Church in North Richmond, stopping to perform at several historic churches throughout the Iron Triangle, Richmond, California and end at Providence Baptist Church in South Richmond. You can either join the parade from the beginning, or anywhere you like along the route. To see the parade stops, go to http://www.eastbaycenter.org/events/rmap and click on the interactive Richmond Living Map Project, where you will also be able to see the various businesses, organizations, and places of interest that uplift the city of Richmond. This is a free community event. Hope to see you there!